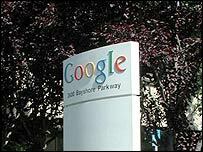 Internet search engine Google was the top brand of 2003, a survey of 4,000 branding professionals has concluded. The rankings, compiled by industry experts Interbrand, were made on the basis of the "impact" the brands had during the year. Computer company Apple came second, after seeing its iPod music machine become a must-have Christmas present. The Mini car, a motoring icon that starred in movie blockbusters and was re-invented by BMW, came third. Robin Rusch, an editor at online magazine Brandchannel.com, which is produced by Interbrand, explained that the survey was not aimed at picking the best known brands. 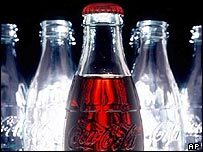 That title would probably go to a company such as Coca-Cola, which was placed at number 4 in the reader's poll. Rather, Brandchannel.com wanted to find out what products their readers had either used the most, or felt had performed the worst or best during the past 12 months. The company now has more than 70% of the global market, meaning that seven out of 10 people will click onto Google's webpage when they are looking for information on the Internet. Branding is not an easy thing to define, but it can make or break a company, Ms Rusch said. From the car we drive to the coffee we drink it is something that affects us and at the same time is used to define how we want to be seen by others. And depending on where we live, brands will have a different effect and resonance. In Brandchannel.com's survey, Sony topped the list in the Asia-Pacific region. Home furnishings company Ikea came first in Europe and Africa, while construction firm Cemex was number one in Latin America. Apple, meanwhile, outshone Google in the US. But it is the global picture that is becoming more and more important as better communications and faster travel shrinks the world, said Ms Rusch. David Beckham is cited as someone whose appeal as fashion icon and family man reaches all the way from Manchester to Seoul. As well as being a great footballer, he seen as being an even better vehicle to promote products. Is Google good for you?